Steam started out as an annoying program that came with Half-Life 2, but it’s grown into the PC game store of choice for most PC gamers. Although some people aren’t fans Why I’m No Longer Buying Games On Steam [Opinion] Why I’m No Longer Buying Games On Steam [Opinion] Steam is now approaching 10 years old. Its impact has been undeniable. Millions of gamers enjoy the service’s seamless community services, low prices and excellent selection. I have been one of them – until now.... Read More and prefer alternative stores The 3 Best Alternatives to Steam for Downloading Games The 3 Best Alternatives to Steam for Downloading Games For PC gamers, Steam’s digital download service has insane deals, offers excellent customer support, an easy-to-use interface, and provides a wonderful selection of games. There is very little to find fault with. With that said,... Read More , it’s a powerful platform that offers a lot of features. Even if you’re a Steam fan, there’s likely a lot you don’t know about Steam. From a market where you can sell in-game items for credit towards new Steam games to integrated walkthroughs and easy mod installation, Steam is constantly gaining new features. We’ll be seeing a Linux-based “Steam Box” 2013 Is Microsoft's Most Important Year Yet - For All The Wrong Reasons [Opinion] 2013 Is Microsoft's Most Important Year Yet - For All The Wrong Reasons [Opinion] Microsoft has a lot of work to do to come out of 2013 with a spring in its step. 2012 was not Redmond's year, and demand for Windows 8 can be described as lukewarm, with... Read More challenging the consoles in the living room this year, too. Steam allows publishers to set different prices for different reason. For example, the URL http://store.steampowered.com/?cc=au will take you to the Australian Steam store, while http://store.steampowered.com/?cc=us will take you to the US Steam store. You’ll see different prices for many games on each. If you have a friend in another region of the world, you can have them purchase the game in their region and gift it to you to save money on some games. Some games use Steamworks, which mean that they’ll activate on Steam no matter where you purchase them from. You can buy Steamworks games at other stores, where they may be cheaper, and activate them on Steam. You can also try to get around this restriction by using a VPN to make Steam think you’re in another region of the world. However, we don’t recommend this – this is against Steam’s policies and you may run into trouble with Steam if you do this. The Steam Community Market is currently in beta and only supports a limited number of games – Team Fortress 2 A Selection Of The Best Free-To-Play Steam Games A Selection Of The Best Free-To-Play Steam Games Content delivery service Steam is a real money-spinner for Valve, prompting publishers like EA to shy away from it in pursuit of their own system. That doesn’t mean there aren’t a couple of free gems... Read More and Dota 2, to be specific. The Market allows you to buy and sell in-game items for Steam Wallet credit. If you get a crate in Team Fortress 2, you can sell it for a few cents and put that money towards a new game on Steam – or purchase other items from the Market. It’s sort of like Diablo 3’s real money auction house 6 Ways to Make Money Playing Video Games 6 Ways to Make Money Playing Video Games Do you want to make a living by playing video games? It isn't easy, but here are several ways to make money playing video games. Read More , only that you can’t actually get money back out of it – but you can use the money you earn to buy more games and DLC on Steam. When playing any game on Steam, you can press Shift + Tab to open the in-game overlay (unless you’ve disabled the overlay). The overlay allows you to chat using Steam chat and access other useful features. You can also click the Web Browser link at the bottom of the Steam overlay to open a browser and access the web without leaving a game. This can be convenient if you’re stuck in a game and want to access a walkthrough without the hassle of alt+tabbing Get More from Windows 7 ALT+TAB App Switching: Tricks You Didn't Know About Get More from Windows 7 ALT+TAB App Switching: Tricks You Didn't Know About There’s more to Alt+Tab than just pressing Alt+Tab to switch between windows. There are a variety of hidden keyboard shortcuts that make the Alt+Tab switcher quicker and easier to use. There are also ways to... Read More . Steam also offers integrated game guides, so you can access walkthroughs and guides while playing games, right from the overlay. Steam has multiple download servers located in different regions of the world. 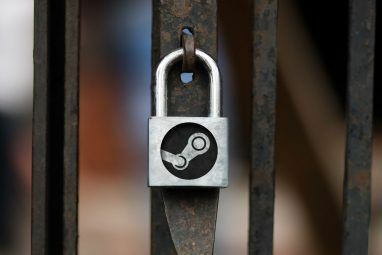 Steam tries to automatically select the best server for your location, but servers may become overloaded and slow – especially on the release date of a popular game. You can change the download server Steam uses and view how much load each download server is under How To Speed Up Steam & Get Games Now How To Speed Up Steam & Get Games Now I’ve been using Steam for game delivery for some time now. Even when I own physical copies of the games I use the service to download them, safe in the knowledge that the original media... Read More . Most programs on Windows need to be reinstalled whenever you move to a new computer. Not Steam – you can copy your Steam folder and take it with you How To Migrate Steam To a New Hard Drive How To Migrate Steam To a New Hard Drive Unlike most Windows applications, Steam can be easily moved between hard drives without redownloading or reinstalling anything. 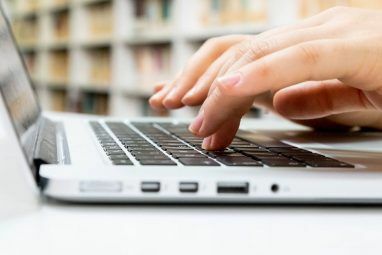 If you want to put Steam on a new hard drive – say, if you’ve bought a new... Read More , whether you’re moving to a new computer, reinstalling Windows, or just creating a backup. 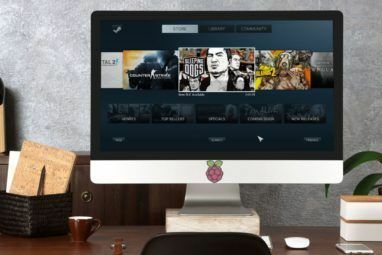 Steam rose to prominence as a game store, but it’s recently started selling software too Did You Know Steam Sells More Than Just Games? Did You Know Steam Sells More Than Just Games? Did you know that you can buy more than just games on Steam? You can get software, too! Here's what you should know. Read More . Software available on Steam currently includes game-related applications like RPG Maker, GameMaker, and the 3DMark benchmarking suite. However, there are also applications for budgeting, movie editing, and managing photos. With time, Steam could even become an app store for desktop Windows Before the Windows Store: Package Managers and Software Repositories Before the Windows Store: Package Managers and Software Repositories App stores are everywhere these days. Whether you’re using iOS or Android, you can get all your apps from a single location and have them automatically update in a consistent way. If you’re using Mac... Read More , Mac, and Linux software. The Windows Store included in Windows 8 doesn’t allow easy purchasing and installation of desktop apps 6 Ways Microsoft Is Killing The Traditional Desktop In Windows 8 [Opinion] 6 Ways Microsoft Is Killing The Traditional Desktop In Windows 8 [Opinion] The traditional desktop is still around in Windows 8, and it’s probably the best Windows desktop yet (aside from not having a Start menu.) But Microsoft is setting it up for the kill. The writing... Read More . Steam runs a hardware survey that tells you what operating system and hardware its users have. Game developers can use this to make sure their games will run on the hardware being used by gamers, but it’s an interesting snapshot of what Steam’s users use. For example, about 7% of Steam users were using Windows 8 as of December 2012, while about 1% were using Steam for Linux. User-created mods 3 Awesome Multiplayer Mods For Single Player Games 3 Awesome Multiplayer Mods For Single Player Games These games were created as single player experiences, but enterprising players decided to build multiplayer mods for them, and they really change the gameplay. Read More have always been one of the best things about PC gaming. Unlike on consoles, people can create mods for PC games and distribute them online. However, installing mods can often be a headache, involving unzipping archives, reading README files, and extracting them to game folders buried deep on your hard drive. For games where the developers have added Steam Workshop integration – including Portal 2, Left 4 Dead 2, and Skyrim – you can easily browse and install mods with just a few clicks. Do you know any other lesser-known Steam features that we didn’t cover here? Leave a comment and share your knowledge! Can confirm VPNs work with Steam -- at least ExpressVPN does. Haven't run into any issues either *knocks on wood. The only people that didn't know that, have no internet. So where are the 8 things that I did not know about steam? All of that was.....well it's just right there, why not mention you can buy games and PLAY games with it? Small note about the Steam Overlay: You said that you can pull up walkthroughs and stuff in-game? Well, Steam now has another button in the Overlay, "Guides". People can make guides and post them to the different games' hubs and people can access them in-game. For example, Team Fortress 2. While playing, you want to know the best weapon to use in CTF as Scout: just hit shift-tab (or whatever you mapped to it) hit Guides, and see if someone has a guide of it available (someone probably does). I do have a question about moving the steam folder. What about when I am reinstaling windows. Do I need to just reinstall steam program, and then just paste (previously backup-ed) steamapp folder or I dont even need to reinstall steam program? But it makes more sense to me that reinstall of prog is needed because of the registry files etc. ? If you have your steam installation on another drive to your system In my case Windows. When reinstalling I just open the Steam folder on the other drive and run the Stem program with Admin rights once to setup the necessary shortcuts and settings for it to run again from the shortcut again later without admin rights. It only takes a few seconds then it checks for an update. All you have to do is enter your password. If you want to change the location of a game try Steam Mover. Click and your latest game is on your SSD (or off it when you have finished). You can do it by hand using junction links but its more hassle. Yup, that used to be required. If you're okay with reinstalling the games, you can now choose install locations while installing game. Try it! I've never liked the alt-tab function. The browser annoys me. I'm sure it is just me but I rather use tabbed browsing. I like using Firefox with all my add-ons. It's not the best browser I've ever used, but it's convenient for walkthroughs. Awesome software for Linux, and an article that is just as AWESOME! Thanks for the info! That's a good idea! However, I just use Steam. I don't know much about the alternatives. Frankly, they don't have as many features. Steam is a much more developed platform with crazy stuff like the new item-selling thing. Thank you for the time spent writing up the article Chris. Good information. an odd thing is that even though it's easy to move the whole steam folder it's still not that easy to move or change the install location of a single game. Unless i'm missing something, i'm surprised this isn't more common with the adoption of SSDs and it's something I wish Valve would address. This used to be a serious problem, but it's now been resolved. When installing a game through Steam, you can now choose the install location. Very interesting Chris, Bookmarked for a later date. Oh, that's a great point! Totally slipped my mind. Thanks! I knew all 8 things. Why did you tell I me I didn't know these things? You don't know me! I knew none of the 8 things. Thank you for telling me these things. You don't know me. I think it's relative, so it's not exactly the best title choice. It's designed to be attention-grabbing, of course. Installing mods is easy but not very intuitive for new users. You have to click on "Subscribe" to install a mod. Steam will automatically download, update and install any mod you are subscribed to. To uninstall a mod, just unsubscribe. It is easy, but I have seen many people (myself included) who were confused by this terminology. Good points. It's easy, but you have to know how it works. lol @ "Steam sells software too". You do realize that games are software, right? Good point, yes. I could have said "Steam sells non-game software." Steam itself has a "Software" category that doesn't include games, so I went with that.